It isn’t often that we help companies with an insect problem, but for one customer we were able to go to the necessary lengths to resolve their bed bug dilemma. OK so we aren’t a pipe cleaner manufacturer expanding into the pest control industry, but our pipe cleaners were the perfect solution for one customer to keep their bugs at bay. 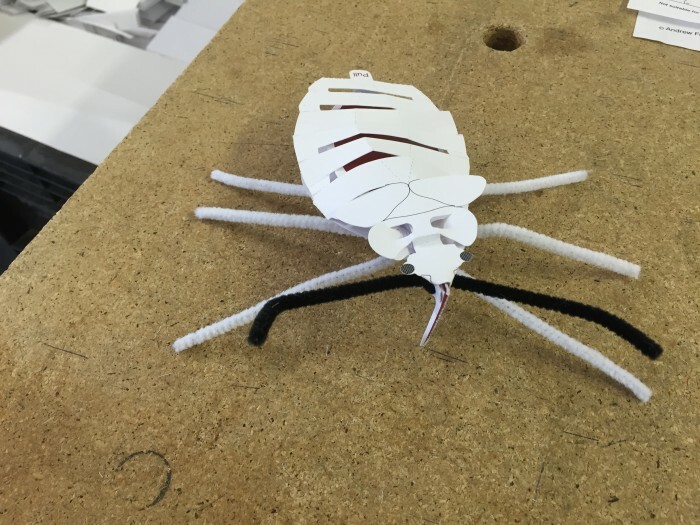 We have recently supplied bespoke pipe cleaners made to order for the London School of Hygiene and Tropical Medicine (LSHTM), as part of an educational bed bug craft kit. We were approached because of our short run bespoke manufacturing capabilities, resulting in 21cm white and black pipe cleaners, perfect for fluffy bed bug legs. Without our specialist short run manufacturing the bug’s legs would have to be cut manually, resulting in high labour costs and a time consuming process. The craft kit designed to educate has been developed by Aquatint Digital on behalf of the LSHTM, to spread awareness of the global rise in bed bug infestations; attributed to the increase in global travel, booming second-hand furniture sales and the bugs developed resistance to insecticides.